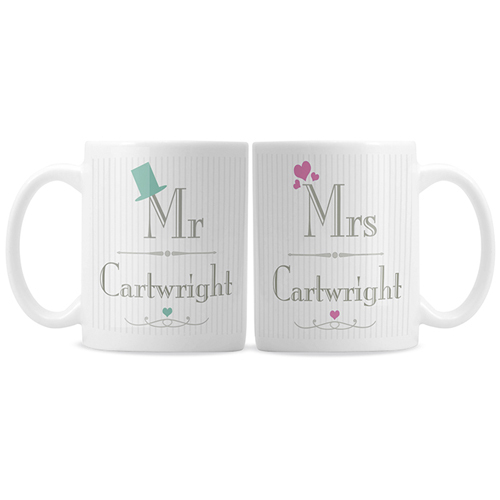 Personalise this Decorative Mr & Mrs Mug Set with a surname up to 15 characters and a message over 4 lines of 20 characters each. The same personalisation appears on both mugs, 'Mr' & 'Mrs' is fixed text. Personalise with a surname up to 15 characters and a message over 4 lines of 20 characters each.